Editor’s note: This post was written by Josh Pagin, a freelance designer and blogger with a particular passion for all things typography related. He also loves minimalist design. Follow him on Google+. 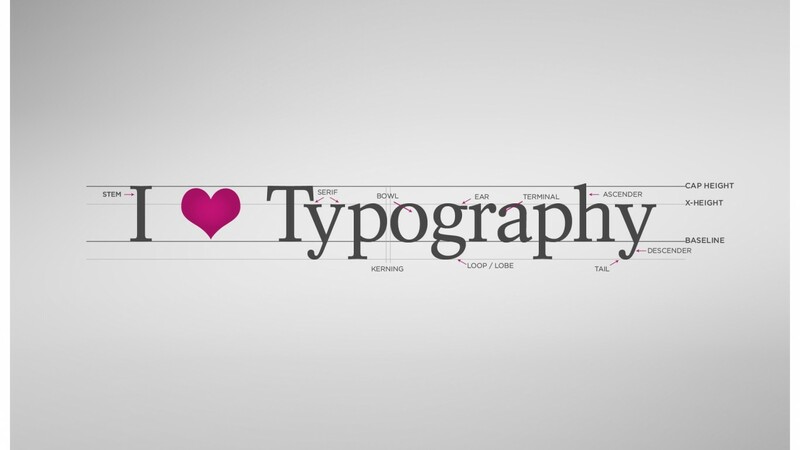 Typography can make or break a design. As a graphic designer, you probably already know this fact. If you’re anything like me though, typography probably tends to be quite low down on your list of priorities when working on a given project. It’s the many other aspects of the design such as color scheme, layout, imagery etc. that seem to attract the most attention and subsequently, take up most of your precious time. There are likely many reasons for this, one of which is the fact that choosing a typeface can be an extremely time-consuming process. Thanks to revolutionary open-source font directories such as Google Fonts, there are literally hundreds and thousands of different typefaces out there and although there might be a few gems hidden amongst them (if you look hard enough, that is), sifting through each and every one in search of the perfect font for each individual graphic design project could, quite honestly, take days. Even if you, the graphic designer, have absolutely no problem spending such a vast amount of time searching for the perfect typeface for each new project, chances are that your clients won’t be too happy about this process. Not only would their (usually tight) deadline be extremely unlikely to be met but also, if you’re billing them by the hour, they probably won’t be too happy when they see they’ve been invoiced for copious amounts of time spent on ‘typography research’ (i.e. time you’ve spent sifting through Google Fonts’ extensive library of typefaces). You also have to remember that in most cases, picking one typeface isn’t the end of your work. Most graphic design projects will use at least two (sometimes three or more) typefaces, all of which have to be compatible with one another and work in perfect harmony to achieve the desired visual effect. It’s this part of the process that is usually the most difficult and time-consuming. So what’s the solution? Should you just stick to using the same fonts project-after-project? I mean, you probably already have a few fonts that you’re comfortable working with and have been using (successfully) for many years, don’t you? Still, that isn’t a good solution at all. There’s nothing wrong with having a few favorite fonts but this shouldn’t discourage you from seeking other new, interesting and beautifully designed typefaces as doing so will breathe new life into your graphic design projects. I’ve mentioned it a couple of times already throughout this post, but Google Fonts is perhaps the best place to start looking for new fonts. As their fonts are ordered by popularity (by default), much of the work has already been done for you, as it’s the popular fonts that tend to be the best. But still, how do you know which typefaces are going to work well together? I mean, there’s literally hundreds of unique combinations and trying them all could, once again, take up days of your time. The Art Of Mixing Typefaces (Google Fonts Edition) infographic created by FastPrint.co.uk (embedded below) solves this problem by displaying the compatibility of four hundred unique typeface combinations in an easy-to-read chart. The chart shows the twenty most popular typefaces (from Google Fonts) cross-referenced against one-another to show which combinations are likely to be good, not so good and possibly not good at all. It’s an extremely simple yet elegant solution that will not only significantly reduce the time spent sifting through countless fonts, but also bring hundreds of great font pairings to your fingertips in an instant.